This is Google’s version of Siri and I’m pretty impressed with all the cool stuff it can do! I have not really used it up until now, but I just realised that if I put a shortcut on my homescreen for the app “Voice Search” which is in the app drawer, I can with just one touch, search for anything and get answer to questions. It’s really handy. My favourite is by saying “Note to self” it will add whatever i say next to my Google Tasks which I use all the time. Brilliant. So, Tablet Computers. iPad’s & Android’s wtf? When the sneak peak of the iPad came out about a year ago now, it really did not excite me. The concept was good because we all can imagine the potential of handheld tablet computers, but Apple (unsurprisingly) were a bit light on the features and heavy on the price. I certainly was not adding one to my wish list – but I was definitely interested to follow the market. A few months later I got my hands on one for a proper play with it, and wow, I was very impressed. This thing is slick – like really cool. I was very surprised by how much I like it – and so many of the apps were absolutely captivating and very impressive to use. Also as a business productivity tool its amazing. However the price was still extortionate – starting at €499 for the basic 8GB & wifi – going all the way up to a crazy €799 for 64GB with 3G. So, it was stilll a pass for my shopping list, but i was excited to see what the competitors would come out with. And it didn’t take long…. The Zenihink ZT-180 looks just like an iPad with a 10″ screen – although it has a slightly more widescreen format screen. It has a pretty fast processor, 256mb and 4gb of internal storage – but unlike the iPad this is easily expandable by up to 32GB with a Micro SD card. it has Wifi and a full accelerometer as well which is great for games. Also unlike the iPad it has a full size USB port which for me is a massive plus! It runs Android 2.1 but can be upgraded to 2.2 Froyo. The battery like is not going to be as good as the iPad’s but from waht I hear you can get about 4-6 hours depending on usage. Some stat’s say more but many say less. It does not have 3G but I’d be unlikely to even get an iPad with 3G due to excessive data charges in Ireland (it’s cheap in the UK). With a small Hack you can get loads of apps from the Android Market – and this upgrade improves battery life too apparently. But the best thing about this, is the cost. I just bought this lovely little unit for a total price of €134 including express delivery via DHL – a tiny fraction of what you would have to pay for n iPad. Ok now its definitely not going to be quite as Good as an iPad – however it does have some advantages like USB & SD etc – however the iPad does have a nicer Capacitive screen – but overall its a great value package. When the iPhone4 was announced, I was pretty excited and I was definitely going to buy one. I am definitely not a Mac Fanboy – but when I got an iphone about 2 years ago – I totally fell in love with it. However, right before I was about to pick one up, I saw this video – and suddenly my interest changed. If you don’t know, Android is an operating systems for mobile devices made by Google. Amazingly there are more Android smartphones in America than iPhones, but it has not kicked off in Europe so much for some reason. It’s 100% open source meaning anyone can get the source code and change the way anything works to the way they like it. This means no ‘having to do something one way’ like the way Windows and Mac OS work. There are also lots of good phones, HTC being the main manufacturer. The “Google Phone” that came out a while ago was made by HTC branded the Nexus One by Google. I bought the HTC Desire which is more or less the same phone with a few updates. So, the main differences: The HTC Desire has 4 buttons at the bottom. I LOVE this. Apple sometimes try to over-simplify things – and always touching can be annouying. The Home button always bring you to your main home screen, the Menu button is a menu for whatever screen/app you are in – same for search, its specific to what you are doing, and then there is a back button (which is nice but sometimes its easier to swipe back than reach down and press the back button – but again this is changable). It’s also lighter and has a nice feel to it in your hand. The screen is absolutely superb too. The Desktop / Homepage: On iPhone you just have a few pages with icond on them. BOOOORRRINNGG. On Android you have a “Desktop” with Widgets. I have a weather widget, a time/alarm widget. A search box that give you both phone and web search results. I have a strip of icons that with one click turn on or off your wireless/bluetooth/data/gps etc – which on ipohe you have to go into 3 or 4 menu levels. You have a total of 7 screen that can have anything on them. Facebook, Twitter, Gmail – basically anything! Instead of having to click back and forward between 7 screen, pinching the screen will bring thumbnails of the 7 screens and click one one to zoom back in. You can also change the background photo or have “Live Wallpapers” which are cool animations that change depending on e.g the time of day or weather, or it can even be a map of where you are at any time! Integration: Google is not just available as apps etc, it is fully integrated into the whole OS. You contacts can sync with your gmail account. Also facebook & Twitter if you want – when you look at your list of contacts/phone numbers – it automatically pulls in the persons photo from Facebook if you are friends with them. It will also pull down their updated contact details if they have it on facebook! Notification: Whatever it is, all notifications are in the one place. If you get email, texts, updates, downloads, etc – you get an icon at the info bar at the top of the screen. Touching this bar and dragging it down, give you full details of this and you can clickc to jump into each one! The Keyboard: The keyboard is way better. You can touch and go to any point, not just the end of a word. Holding on one letter for a second give you a second option, like a number, question mark or exclamation point etc. The predictive Text is also way better, giving you several options of what you might be trying to type, not just guessing one which the iPhone does. Change the OS: Since Android is Open Souce, there are several different versions/flavours of it available to download and put on – basically they are all changed in certain ways so find the one that suits your needs best and use that one! Some are very simple and made for speed and battery life, some have loads of extra programs and features! Other Random Stuff: It is FAST!!! Like properly fast. the 1Ghz Snapdragon processor is amazing. 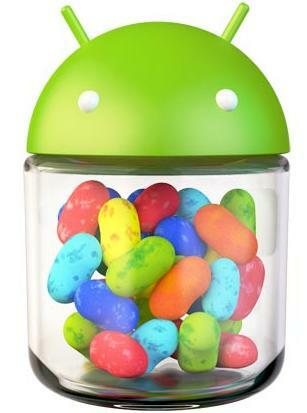 Android also has a massive range of phones available in different formats. With iPhone you can only choose hard drive space. It has REAL multitasking. And its easy to kill background apps in one go. The Android market is better. Not as many apps but its more open. You can take off the back cover and change the battery (a huge plus – since the battery is not great) – and also it has a removable SD Card for your apps and data. It also works like a big USB key as you can store anything on it when you connect it to a computer. Also, the cable to connect it is simply “Micro USB” which is the de-facto standard for all phones going forward (a new agreement from all the phone manufacturers – except apple funnily enough – groan). You don’t need iTunes although it will work with it if you want. Android supports Google Voice and Voice Actions so you can navigate your phone, call people, send texts, update twitter and facebook, all through voice recognition!! !